“Over the last several weeks I have found myself in many conversations about what 21st century teaching & learning means. It seems like a topic that would be perfect for our second #peel21st blog hop. So here we are again! 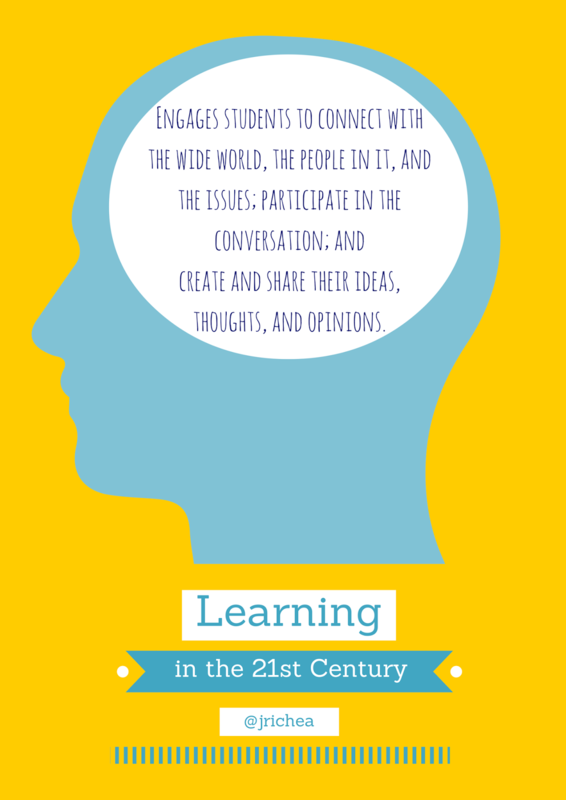 Read on to learn more about what I think 21st century learning is to me, and don't forget to check out the other blog posts linked at the bottom of the post." I often try to articulate what it really means to learn in the 21st century. It is difficult. I battle with attempting to define this almost everyday. I often look toward the skills necessary to be successful in the 21st century; and therefore what our students need to acquire. However, defining 21st century skills doesn't necessarily translate to the idea of 'what learning in the 21st century is?' or better yet, looks like. Therefore, I often gravitate toward the idea of what should happen in a classroom every day, and believe there should be a few observable traits. These I think should be the 4 C's of 21st century education - collaboration, communication, critical thinking, and creativity. It's not like they weren't around when I was in school, but they definitely weren't a focus in the same way. This is the distinct difference I see between the learning I engaged in, and the one I want for my students. Learning, as John Seely Brown said best, is a social process. Therefore as teachers, we really need to ensure we provide an environment that allows for socializing to happen. I think the biggest thing however, is that learning today needs to be 'real'. Learning has to allow students of all ages connect with the world around them. I came across this video not too long ago that I believe really articulates my thoughts on what learning today is really about. Oh and don’t forget to check out the other blog posts in our Blog Hop!